Offered here for bidders is Masters Tournament series badge #X2561. 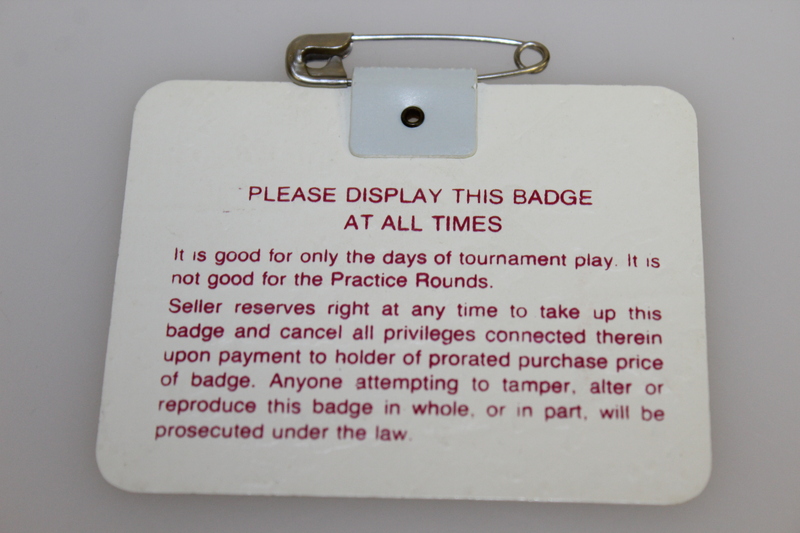 This badge comes with the original pin intact and in great condition. 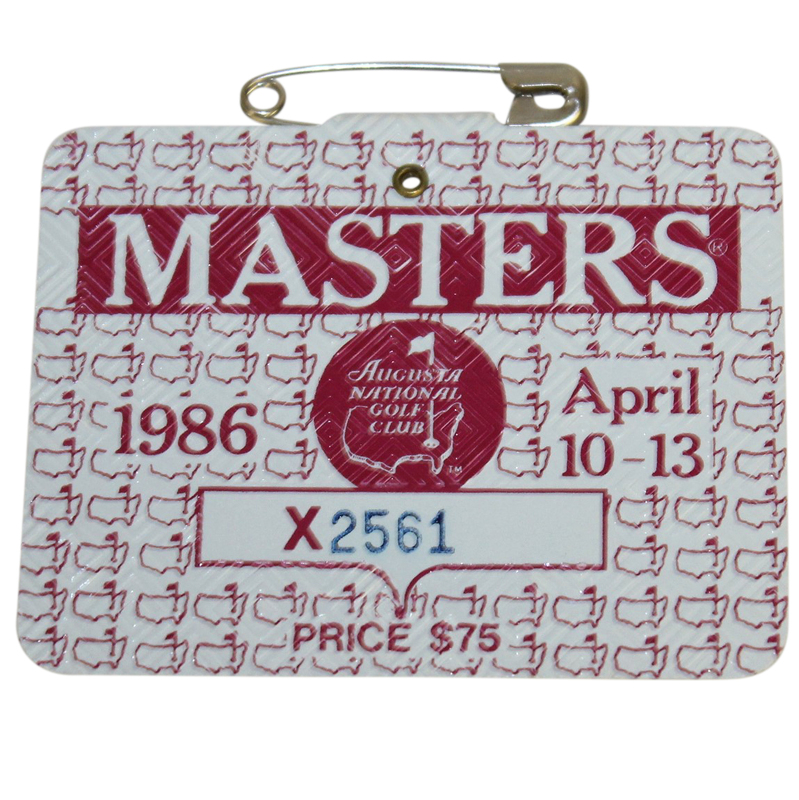 Jack Nicklaus' win at 46-years old in the 1986 Masters will remain memorable for the ages. With five different golfers having a part of the lead in the final round, Nicklaus' charge began at the 15th, going eagle, birdie, birdie, and par to claim the title.